MACH 2016 has proved to be a huge success for Cutting Tool manufacture and distributor Fenn, who have seen a huge increase in not only the quantity, but also the quality of leads against previous exhibitions. 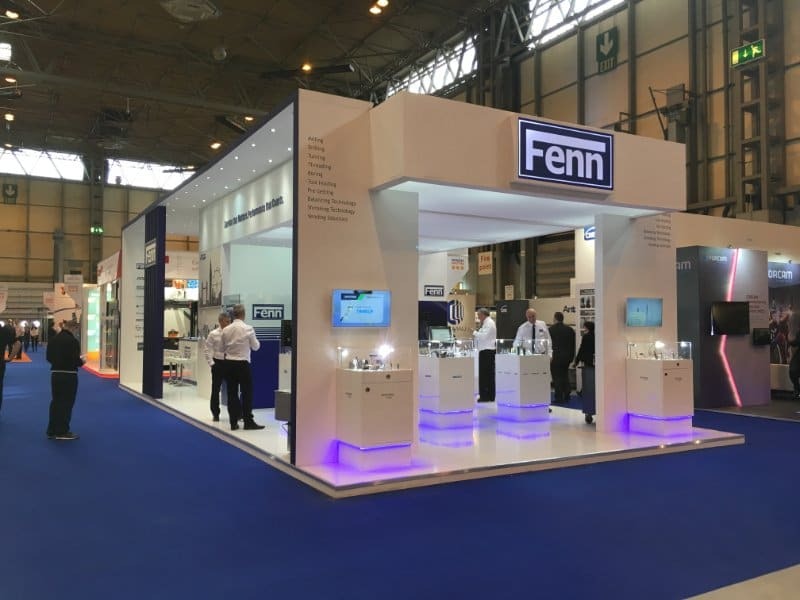 A lot has changed for Fenn since MACH 2014 and this year’s exhibition gave Fenn the chance to finally showcase its new branding in all its glory. The positive response from both customers and suppliers highlighted Fenn’s progression in recent years and attracted a lot of attention to the stand. The stand design highlighted the market leading suppliers that Fenn have selected to deliver a competitive portfolio of products and demonstrated their offering of providing customers with complete tooling solutions with quality products, service and support at the forefront. The success of the stand along with the quality of leads taken during MACH has made this year’s exhibition Fenn’s most successful to date. Taking the lime light during the show and generating the most interest was the Ezset IC2 Presetting Machine and the new Trochoidal endmill ‘Speedtwister’ which were newly launched at MACH, as well as the HAIMER Heat-Shrink Machine. As newly appointed UK agents for Ezset Presetting Machines, MACH provided Fenn with the perfect platform to introduce Ezset and validate the benefits of presetting, while providing customers with the opportunity for demonstrations. Manufactured in Germany, Ezset consists of 4 models and is designed with ease of use in mind, while offering the very latest in image processing software. Featuring brand quality components such as Bosch pheumatics, THK guides and Heidenhain scales, Ezset delivers precision, unbeatable price/performance ratio and a maintenance-free service life. This cost effective yet high performance tool presetting range will significantly increase productivity, reduce scrap parts and lower tooling costs. Fenn also introduced the ‘Speedtwister’, which drew a lot of attention to the stand, with many orders being placed during the show. The ‘Speedtwister’ is especially developed for speed Trochoidal cutting and is suitable for both conventional and dynamic milling strategies. With huge cutting depths of up to 5xD, high tech coating technology and optimised tool geometry for perfect chip control, the ‘Speedtwister’ provides increased productivity and profitability. If anyone missed the opportunity to see Fenn during MACH and discuss the benefits they can offer in both tooling and service alike, please contact Fenn on 01376 347566 to arrange an appointment with you local engineer or visit www.fenntool.com to find out more. Fenn will also be on tour across the country in May, and again later in the year, with HAIMER. The demo bus facility gives Fenn the opportunity to bring HAIMER Heat Shrink and Balancing Machines, as well as HAIMER Toolholding technology, directly to the customer premises eliminating the need for customers to travel and proving the opportunity for the whole team to discuss their requirements. If you are interested in a visit, please contact Nichola.leivers@fenntool.com.